Carry everything you need for sport thanks to this very practical bag. 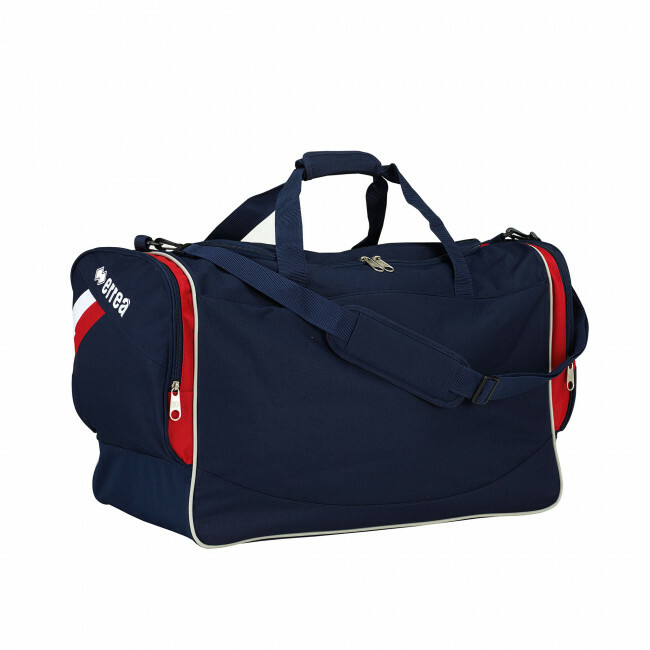 Ferdy is a training and match bag which has been designed for those playing indoor sports such as volleyball or basketball or those going to the gym, but it can also be used for travel and holidays. This is the most spacious model in its line and will allow you to carry everything you need to face your competitions and training sessions in the best possible way. As well as the central compartment, there are two convenient side pockets, secured with zips. The rubber feet prevent the bag's fabric from touching the ground and protect it from wear and tear, while the strong handles and shoulder strap will allow you to easily move it. Last but not least there is a rigid base so that you can organize the contents of the bag.